For the vegetarian, the ketogenic diet can seem like impossibility. The average dieter who consumes meat has a wide variety of options when it comes to meals. They simply eat all the meat they want and don't have to worry too much that they're exceeding their carb limits. Beef, pork, chicken, and fish can be consumed at every meal, thus providing the dieter with plenty of protein and fat and virtually no carbohydrates. While the meat-eating dieter often has to look for ways to include the minimal carbohydrates in their diet, the vegetarian must look for ways to avoid excess carbs. Before throwing your hands up in the air and shouting "I give up", let me assure you that indeed a vegetarian can follow a ketogenic diet with great success. As a vegetarian going on 15 years, I wanted to follow the ketogenic diet without resorting to meat products of any kind. Well, where there's a will, there's a way. After thorough research I devised a plan for "ketogenic vegetarianism." What I am laying out here is by no means a complete end-all guide for vegetarians following a ketogenic diet. My hope is that you will be able to use this information to confidently begin your diet with the realization that vegetarianism is not a roadblock in the pursuit of ketosis. Utilize the information here and add to it along the way. Before beginning a ketogenic vegetarian diet it is imperative that you map out the territory. You do not have the luxury that the meat-eating dieter has in that they can simply heat up a chicken breast or throw a burger on the grill. You have to find several foods that you can eat on your diet and have them ready at your disposal. You have to learn to read labels when you purchase foods for your diet because they will likely have a significant amount of carbs. Meat Substitutes - there are wide variety of excellent products distributed by several companies (Morningstar Farms, Yves, etc.) When selecting these products you must pay close attention to the nutrition labels. While the vegetarian hot dogs may contain as few as 3g of carbs, the burgers and chicken-flavored patties may contain as much 15g. These are excellent additions to the vegetarian's ketogenic diet but they key is to check the labels carefully. Peanut Butter - while this is a great vegetarian food providing protein and fat, it should be used in moderation. One serving contains around 7g of carbohydrates so you will want to limit yourself to no more than a single serving per day, unless you plan on getting all of your carbs from peanut butter. Nuts - like peanut butter, this is another food that should be limited due to the carbohydrates they contain. Nonetheless, a small amount can provide you with fat and protein and a small amount of carbs. Almonds, peanuts, and sunflower seeds are a few good choices that can make your diet more bearable. Salads - while a salad alone will provide little fuel for your body, it does serve a valuable purpose in providing bulk to the diet and easing hunger pangs. 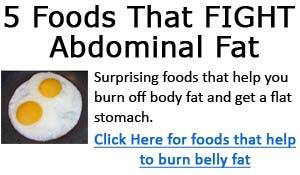 Its most important function, however, is that it can provide a solid food base for adding liquid fat to your diet. You can add olive oil and a low-carb dressing which will provide you with ample amounts of fat. Protein powder – this may be one of your most important allies in succeeding on the ketogenic diet. Whey isolate, whey concentrate, casein, egg albumen, and soy can provide you with all of the protein that your diet does not. You can chose one or more of these powders to implement in your diet. My favorite source of protein is whey isolate, which you can find in several commercial products. Syntrax makes an excellent whey isolate powder called Nectar. With a variety of great tasting fruit flavors and zero carbs, this is a perfect addition to any ketogenic dieter’s arsenal. Flaxseed Oil - loaded with omega-3 fatty acids, one tablespoon provides about 14g of fat. Omega-3’s can enhance metabolism, enhance oxygen utilization, as well as improve overall health through several mechanisms of action. Olive oil - as mentioned earlier you can add this oil to your salad and give yourself an extra 15g of fat. Another healthy fat, olive oil can lower bad LDL cholesterol levels while simultaneously raising good HDL cholesterol levels. MCT (medium chain triglycerides) - this oil occurs naturally in coconut oil and some studies indicate that it can increase energy expenditure and help you burn fat. I use Keto Butta which is a great butter substitute providing almost 5g per teaspoon. It smells and tastes almost just like real butter but contains a much healthier fat. In addition to the supplements listed above there are a few optional, but beneficial, supplements that are worth considering. Alpha Lipoic Acid can assist you on a ketogenic diet by increasing insulin sensitivity, which is vital to the fat burning process. Another supplement that may help you lose fat is a fat burner containing synephrine (citrus aurantium) and caffeine. 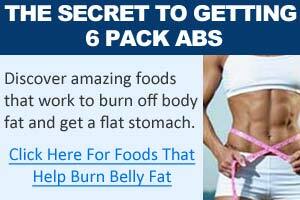 There are a wide variety of products available that contain these two thermogenic agents as well as a proprietary blend of these and other fat burning ingredients. Don't rule out a ketogenic diet just because you don’t consume meat. 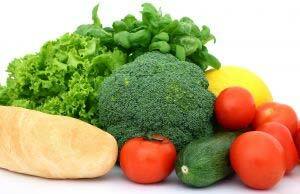 With the proper planning you can formulate a diet that fits your needs as a vegetarian. Once you begin the process of preparing for your diet you will discover that there is much wider variety of foods and supplements available than you ever imagined. Vegetarian ketogenic diets are not only possible; they can also be just as effective as those followed by meat-eaters. Choose your foods and supplements wisely, create a plan, and get started!